When General Motors announced they would kill the legendary Oldsmobile brand in 2004, automotive enthusiasts couldn’t believe their ears. They were one of the longest-serving American car manufacturers, producing over 35 million vehicles. Indeed, one of the most respectable names in the business was going away. It was hard to comprehend that news, but GM wasn’t joking. Oldsmobile was gone. Certainly, there were significant economic reasons for that decision. In fact, it was obvious the company at the beginning of the 21st century was not the same as it was in the past. Modern times brought modern standards in design, technology and performance, but Olds just couldn’t keep up. GM probably did the right thing, but Oldsmobile’s departure left a big void in the hearts of millions of fans. One of the reasons why Oldsmobile was a favorite was its muscle car lineup. This wasn’t just another car company that made and sold muscle cars. This was the brand that produced the first proto muscle car in 1949. 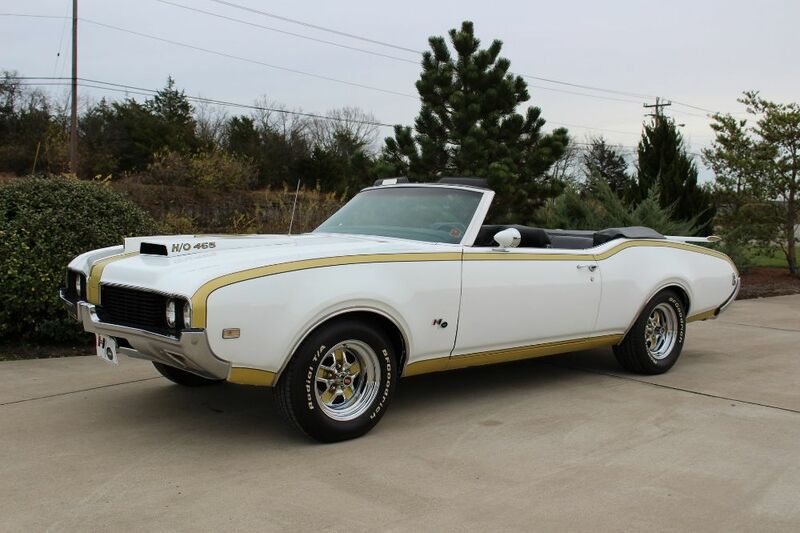 This made Olds special in the muscle car universe as well as an iconic company in the segment. Over the years, Oldsmobile produced some of the fastest, most powerful cars. And they continued to add to their performance portfolio almost to the end. 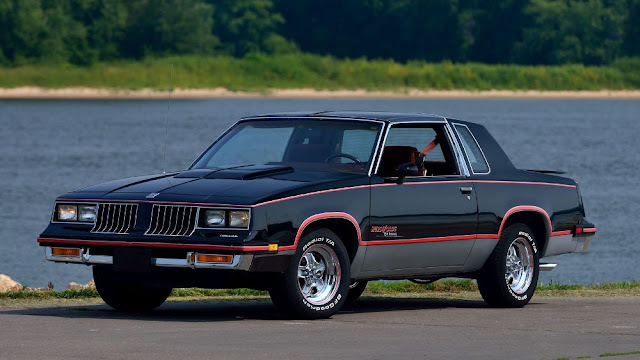 Never extremely popular, Oldsmobile muscle cars were often a step above the rest of the field. And not just in terms of power, but also in terms of style, luxury and appearance. 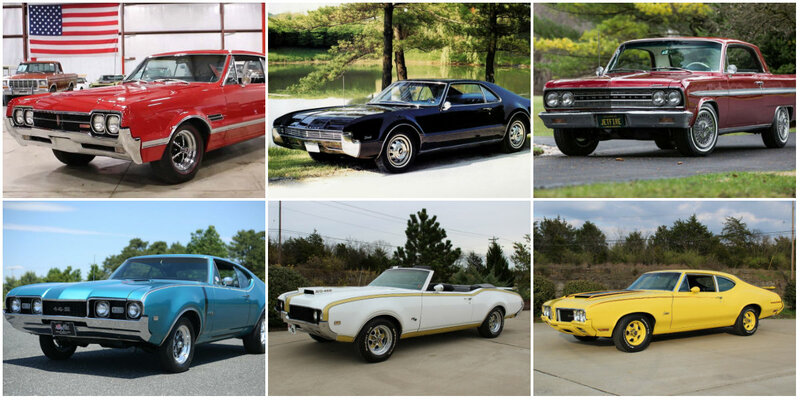 So here are the best, most memorable Oldsmobile muscle cars they ever produced. For the 1949 model year, Oldsmobile presented two important things: the 88 model series and a new 303 CID V8 engine they called the Rocket V8. And both innovations would prove influential in Oldsmobile history. The 88 model was relatively light and compact, and the Rocket V8 was a hot engine with a two-barrel carburetor and 135 HP on tap. The combination of a light body and powerful engine in the 1949 Oldsmobile 88 made it the first muscle car from Detroit. The 1949 Olds 88 enjoyed quite a success with customers and on the race track, too. It won six out of nine NASCAR races that year, proving competitive on the drag strips as well. The car was the theme of one of the first rock and roll songs ever made, Rocket 88, by the Kings of Rhythm. All of this makes this car extremely influential in the automotive history and also in the history of rock. 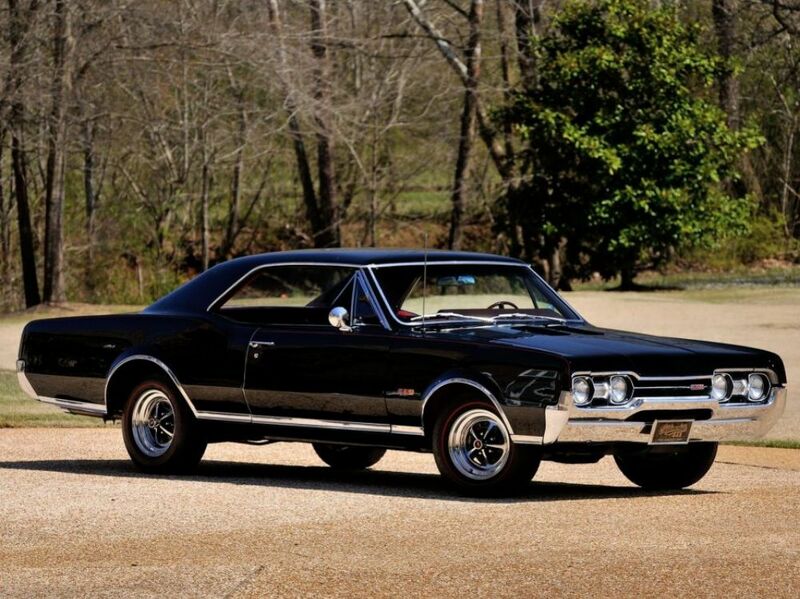 Although Oldsmobile started the muscle car segment, it wasn’t active until 1961. This was when the rest of Detroit’s manufacturers introduced more powerful models. And they gained respect on the street as well as on the strips. Oldsmobile saw the potential, so they introduced the Starfire. This was their top of the line model featuring an engine from the bigger models. All big Oldsmobiles used 394 V8s with 325 HP ratings. But in Starfire, the engine delivered 330 HP and gave the 1961 model its performance credentials. However, these models weren’t true muscle cars since they were more luxury machines. But they still delivered power, performance and looks. 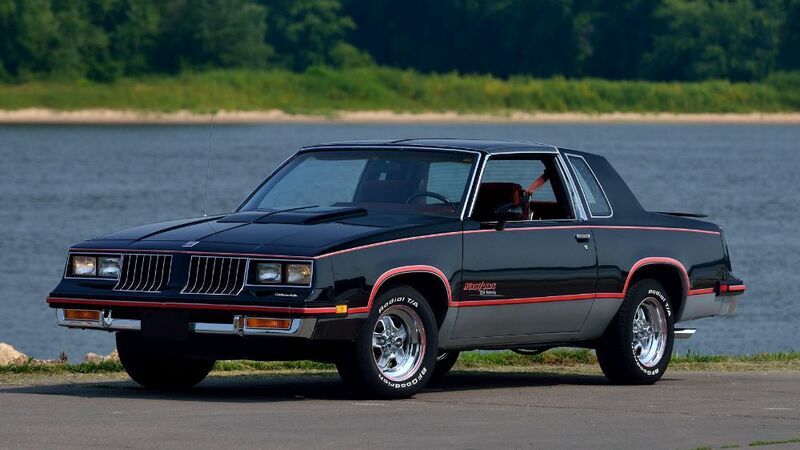 Those three features made the Starfire a great introduction to future Olds muscle models. Back in the early 1960s, Oldsmobile was known as an innovative company that was not afraid to introduce new systems in their cars. In those days, every GM division was competing to present something new and better. So, Oldsmobile chose turbocharging as the new technology they wanted to perfect. The engineers took the compact F-85 model and kept its small 215 CID V8 engine that produced 185 HP. But, they also gave it a new forced induction intake system including a Garett turbocharger and a special Turbo Rocket Fuel tank. The tank consisted of distilled water, methanol and a corrosion inhibitor mixture that went into the fuel and air mixture to prevent detonation. In those days, turbochargers were primitive and prone to detonation or pre-ignition, which could ruin the engine. But the Jetfire V8 included state-of-the-art technology, so initially, the market was interested. The new V8 delivered 215 HP, which was one HP per cubic inch. This made it one of the best performance cars of the day. With the 0 to 60 mph times of around eight seconds, it was almost as fast as the Corvette. However, the Jetfire had problems from the beginning. But, most of the issues were owner-related. People praised the power delivery of the new Jetfire model. However, they weren’t used to the operating procedures of the turbo engine. So, some owners forgot to fill the Turbo Rocket Fuel tank with distilled water, methanol and a corrosion inhibitor mixture. This caused a loss of power and even failure of the engine in the long run. Soon, the Jetfire had a bad reputation, despite praises from several automotive magazines. After two years and around 10,000, Oldsmobile killed the car and turbocharging technology. Today, only a few fans remember the mighty 1962 and 1963 Oldsmobiles. Even though the Pontiac GTO takes all the credit as being the first modern muscle car, not many people know they presented the Oldsmobile 442 the same year. However, Oldsmobile was much more discrete about advertising a new model as an option on the Cutlass line. From the beginning, the 442 was marketed as the gentleman’s hot rod. It was an elegant, well-equipped muscle car with luxury appointments and reserved styling. Yet it delivered a brutal performance. The name 442 caused a lot of controversies back in the day, but the meaning was simple. It was a four-barrel carburetor, four on the floor and a dual exhaust. However, you could order it with an automatic transmission. But if you wanted the most out your 442, you would take the manual instead. The 1964 442 was an option on their midsized models on anything except for station wagons. Under the hood was the 330 V8 with 310 HP. And since it was an Oldsmobile, they built and equipped it slightly than similar cars from the rest the lineup. The 442 met universal praise as a more refined and elegant alternative to the popular Pontiac GTO. The sales weren’t as good as Pontiac’s. Even so, Oldsmobile decided to invest in the muscle car class with a slightly restyled but mechanically upgraded 1965 model. Under the hood was the new 400 V8 engine with 345 HP and convincing performance. 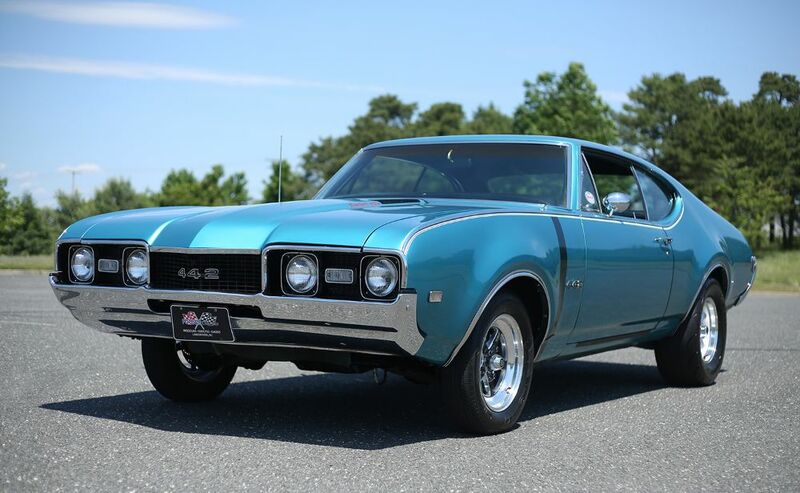 The sales rose to over 20,000, which showed Oldsmobile got it right with the 442. For 1966, the 442 got a mild refresh and five HP more. This meant the 400 V8 could produce 350 HP. 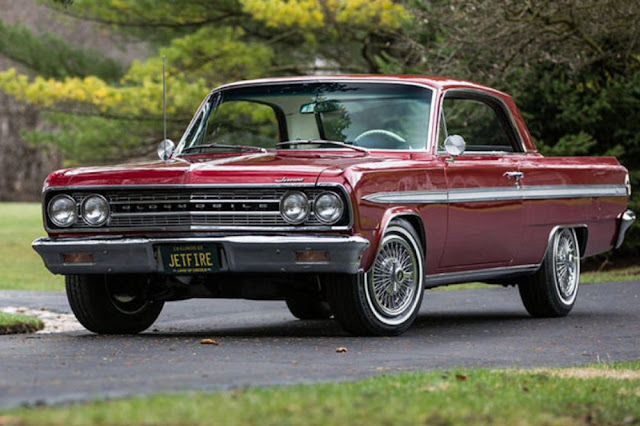 This rating placed the Oldsmobile among the most powerful Detroit muscle cars back then. But the most interesting model was the W30. If you opted for that, you got special ram air induction with tubes going from the front bumper to the carburetors. You also got a hotter cam and a few other go-fast options. But being a little conservative, Oldsmobile didn’t put any wild graphics or emblems on the car. So, although the W-30, was significantly faster than the regular model, it looked the same. The price of the W-30 package wasn’t high, but people somehow overlooked this model. For that reason, they only made 54 of them. This is a small percentage from over 20,000 442s built for 1966 model year. Back in the day, Oldsmobile represented the cutting-edge division of GM. This is because they presented models far ahead of their time. In fact, the company displayed power and style on the global market. 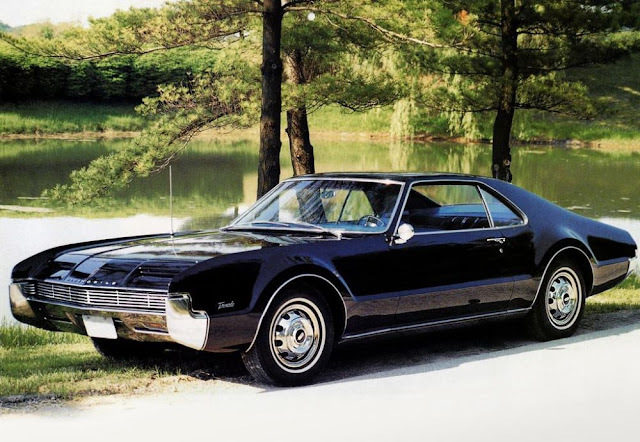 And one such cutting-edge car is the 1966 Oldsmobile Toronado. This was a big, powerful personal luxury coupe with a twist since it was front wheel drive. In those days, only a few imports were front wheel drive. And all domestic cars, regardless of the class or engine, were rear wheel drive. However, Oldsmobile wanted to introduce something else, so they constructed an ingenious FWD system. The designers drew a fantastic looking shape with a low roof and hidden headlights. Also, the power came from a big block 455 V8 producing 385 HP. The Toronado was a success since it provided superb driving, which left its competitors in the dust. 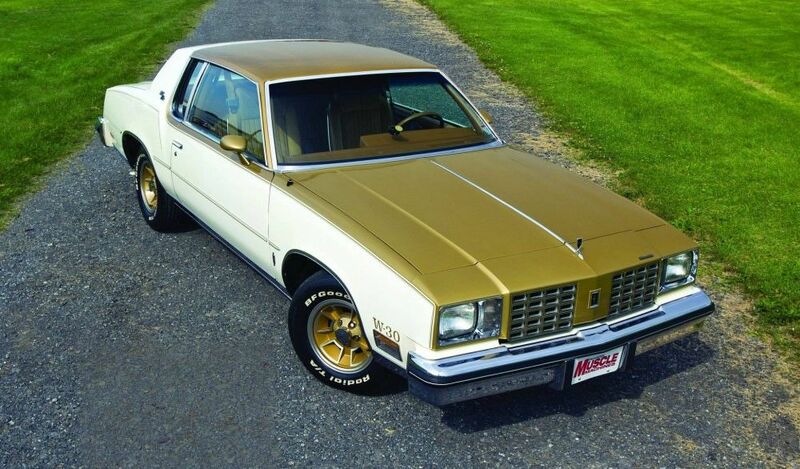 With 385 HP on tap and great handling, those Oldsmobile Toronados were full-size muscle cars. The first out of two generations were the best. However, future Toronados were just Cadillac Eldorados with a different grille. 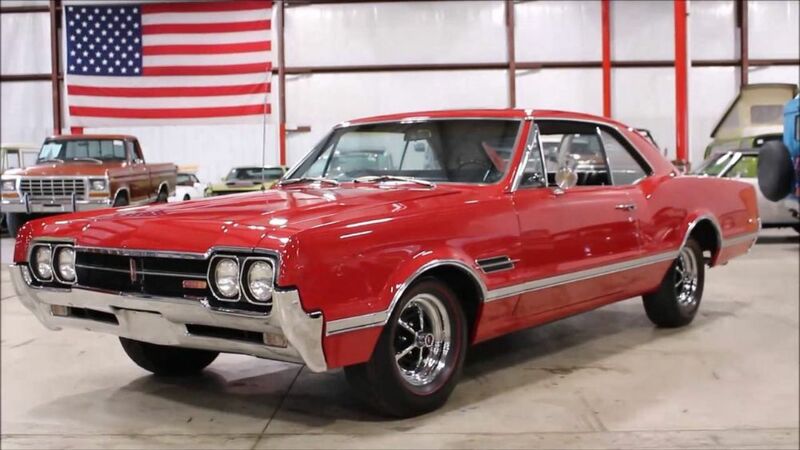 Despite being a popular muscle car, Oldsmobile kept the 442 line as an option for the Cutlass until 1967 when it finally became a separate model. This meant the 1967 model had more options, several power levels and a long list of equipment. For starters, the 400 V8 produced 320 HP, but you could get a hotter 350 HP rating. However, if you had an irresistible need for speed, you could opt for the rare W30 version. It included a lot of go-fast options and 360 HP. Although most muscle car experts argue those engines produced even more power, Oldsmobile remained a conservative brand. For the 1968 model year, all General Motors intermediate cars got brand new bodies with new designs, longer wheelbases and wider tracks. The new look was cool with a sloping rear end in semi-fastback style. This was perfect for muscle cars and the new 442. But mechanically, things weren’t much different from the previous year. The 400 engine was again standard with same power ratings. However, the engine was new with an updated bore and stroke as well as a bit more torque. Oldsmobile also concentrated on handling, presenting a more composed car than any of their rivals. Magazine testers loved the ability of the 442 to tackle corners and outbrake any other muscle car in its class. 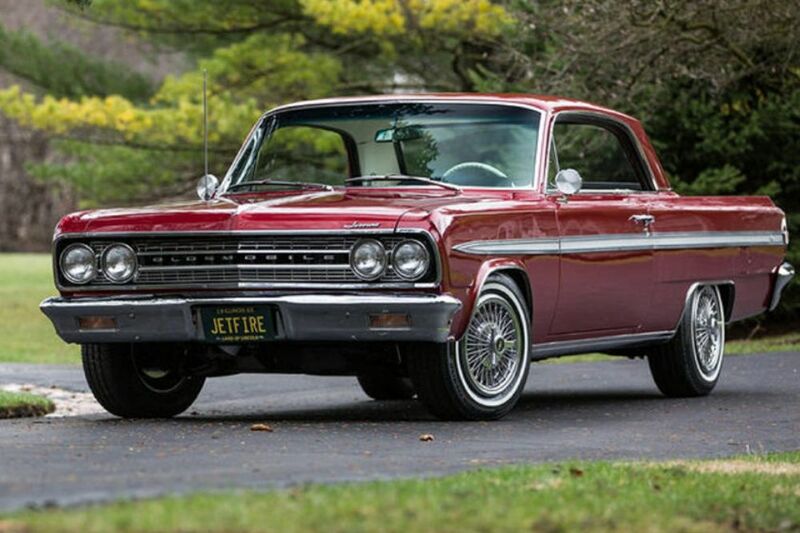 One of the most successful collaborations between a major car company and a small aftermarket outfit was the deal between Hurst and Oldsmobile. 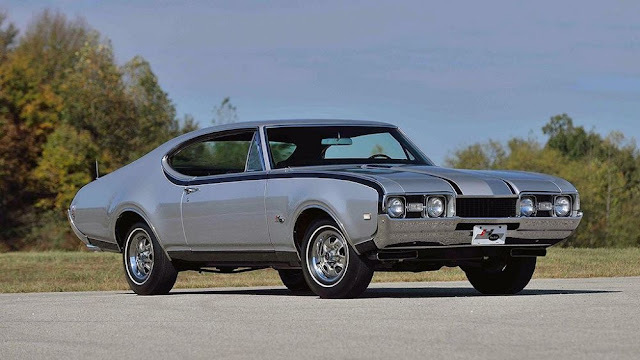 Back in the late 1960s, Hurst transformed the Oldsmobile 442 into one of the fastest cars available on the North American market. And they equipped them with their famous shifter. But the finishing touch was its signature gold and white, or black and silver paint job. At the time, Oldsmobile was under GM’s ban forbidding the company from putting engines larger than 400 CID in intermediate cars. This meant that the popular 442 model couldn’t receive the biggest available engines. And due to that, it was inferior to those Mopar muscle cars with engines of up to 440 CID. However, since Hurst was an independent company, GM rules didn`t apply. So, Oldsmobile shipped partially disassembled 442s to Hurst where they installed the biggest engine Oldsmobile had, the mighty 455 V8 with 390 HP. The Hurst Olds package also got numerous other performance upgrades like the ram air induction system. The also added a heavy-duty suspension and brakes. Since the Hurst Olds was a limited production factory hot rod, it was quite expensive. Also, the convertible wasn’t available for 1968. The 1968 Hurst Olds were all coupes. But, in 1969, Hurst produced three convertibles for promotional purposes only. They were fully dressed in eye-catching gold and white paint schemes with white top and interiors, rear spoilers and Oldsmobile Rally style wheels. And those cars toured America promoting Hurst with Linda Vaughan, a famous muscle car pin-up girl. They even had a big replica shifter on the back and a place for Linda to stand on while driving around the raceways doing promotional work. In 1969, Hurst Olds production was exactly 909 cars, including 906 regular coupes. They also built three crazy-looking convertibles with 455 V8 engines and 390 HP under the ram air hood. 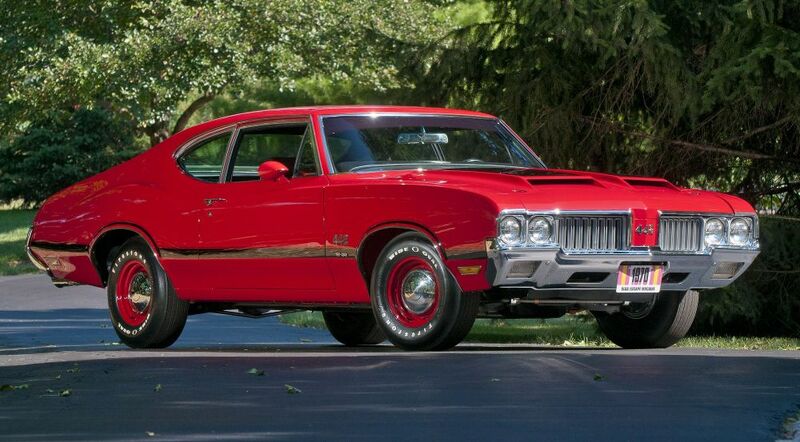 The 1970 model year was big for the Oldsmobile 442 and all GM muscle cars. General Motors lifted their corporate ban on putting engines bigger than 400 CID in intermediate bodies. So, all GM muscle cars, including the 442, got the big block and more power. But in 1970 the 442 got the mighty 455 V8 with 370 HP and 500 lb-ft of torque. 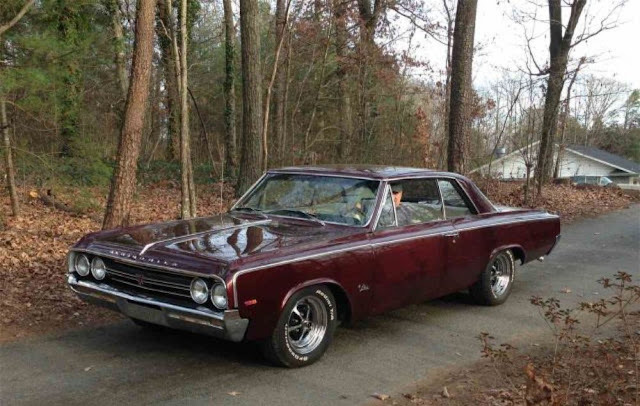 Since the 442 was more luxurious than other muscle cars, it was also somewhat heavier. This made it a little slower. However, it was still an extremely capable machine with 0 to 60 mph times of just 5.7 seconds. Also, the 1970 model got a mild redesign, more options and a stripes package. To fight the tightening regulations destroying the muscle car class, Oldsmobile introduced a bright yellow Rally 350 model. It was a clever way to avoid high insurance premiums with smaller yet still powerful 350 V8 engines producing 310 HP. 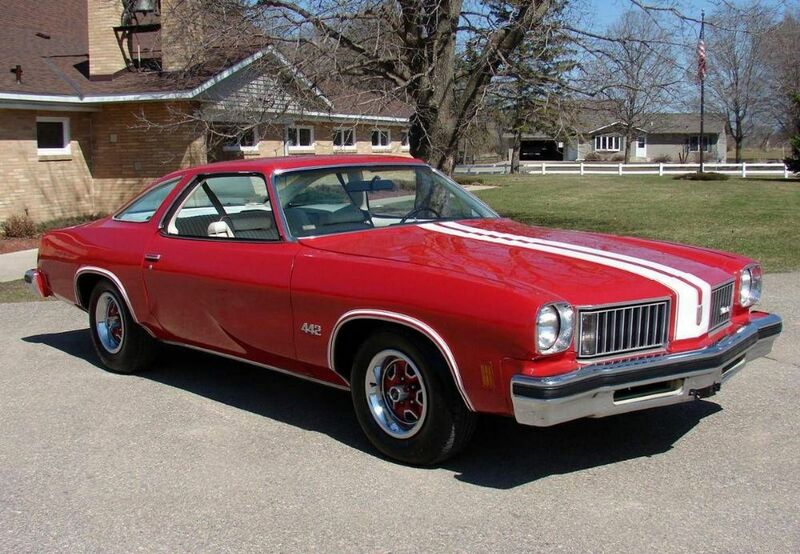 This model was basically a 442 muscle car, but with a smaller engine and a lower price. The most interesting feature was the yellow color along with the yellow bumpers, spoiler and wheel inserts. 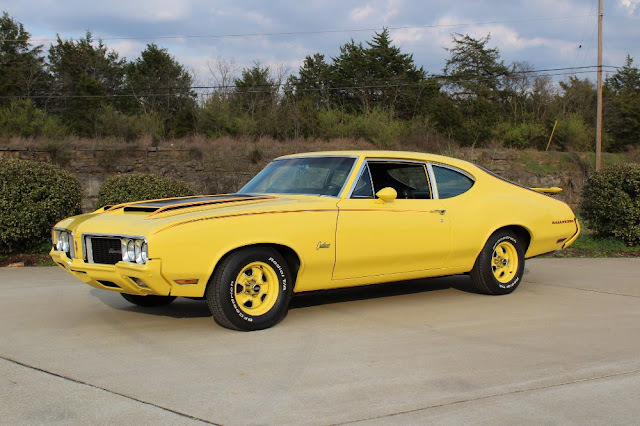 It looked like somebody dropped the Oldsmobile Cutlass in a tank of bright yellow paint. 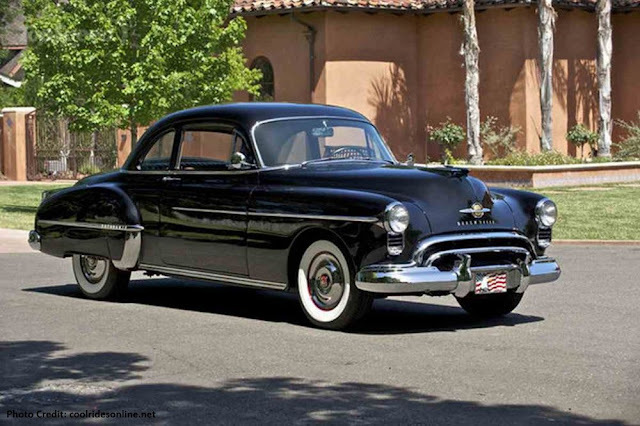 Other manufacturers introduced similar models, but this Oldsmobile is best known due to its unmistakable appearance. However, the Rally 350 wasn’t a big success on the market despite clever engineering. In fact, they only built 3,547 of them in 1970. And although most Oldsmobile performance cars are famous among most car fans, they forgot about the Rally 350, so it is rare to see one today. The new design, the Colonnade style coupe and the rising emissions and safety standards affected the 442 lineup that returned as an option on the midsize Olds lineup. The muscle car era was gone. But Olds fought back as one of the last powerful muscle cars. The 455 was still available, but only with 300 HP in the expensive W30 package with the four-speed manual transmission. Despite the power, those models weren’t as fast or capable as earlier cars. And today, they are not as valuable or sought after by collectors. Hurst returned with the 442 model in 1979. This was a highly unusual move since the muscle car era ended many years before. The 1979 model was a compact sized Cutlass with a Hurst treatment. Also, it had a white and gold paint job, a T-top option and lots of other goodies. However, under the hood was a 350 V8 engine that delivered just 170 HP. That wasn’t much by any standards. However, it was significantly more than the 130 HP that the other Oldsmobiles provided.